A 4-row pearl bracelet is made with 6mm stunning south sea shell (replica pearls) and finished in pure 925 sterling silver 4-row clasp. The luster is “Superior”, the matching “Excellent”, the surface quality is “Excellent”, The Grade is AAA. 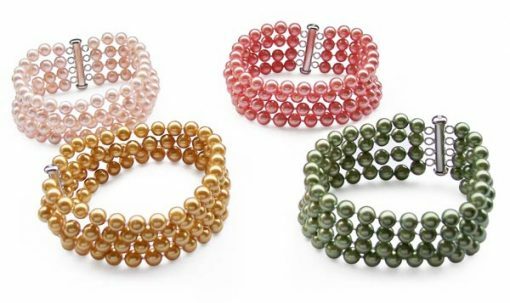 The pearls size is 6mm in 100% perfect round shape. The 7.5in-8in bracelet is finished by a 4-row 925 sterling silver clasp. 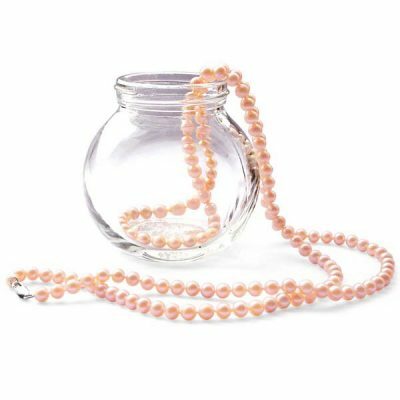 Each pearl is individually knotted. 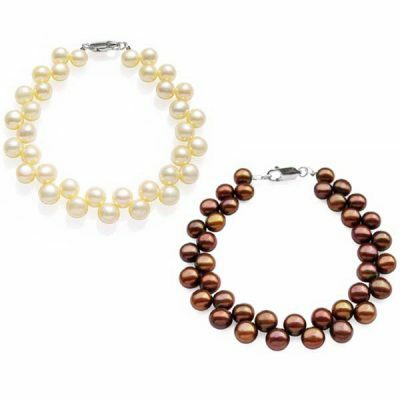 These south sea shell pearls are made of nacreous tissue from the same oyster that cultured Sea Pearls are made from. You must care for them in the same way that you would do to real pearls, because of their organic nature. However, please note these pearls are NOT real pearls from oysters. 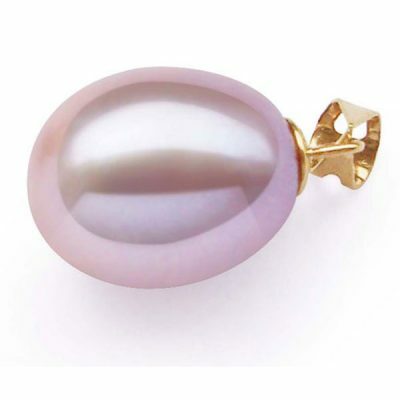 They are the best imitation pearls for South Sea pearls on the market. Learn more about southsea shell pearls.